But “why protect steel from fire as it doesn’t burn?” is an often asked question. At temperatures above 550 Celsius steel under load will start to lose its design margin of safety and begin to buckle and thus building compartmentation and integrity will be destroyed. In order to delay this loss, steel members need to be protected with products that will slow down their temperature rise. In addition these products will need to be durable enough to withstand the velocity of the fire and in some cases direct flame impingement. In most cases steel will only be exposed to a cellulosic fire such as might occur in a normal commercial building, however in the case of steel used in a petrochemical complex the fire is likely to be far more intense, and this type of fire is known as a hydrocarbon fire where temperatures will reach 1000 Celsius within minutes. Its size and the type of fire that it is likely to determine the amount of fire protection required by a steel member. ‘Heavier’ steel requires less fire protection than ‘lighter’ steel to achieve the same level of protection when exposed to the same type of fire. 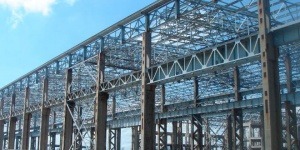 In general the ‘heaviness’ of the steel is determined by the ratio of its perimeter that is to be exposed to the fire to its cross sectional area. In the UK this is referred to as the Sectional Factor and the higher the ratio the more the fire protection that is required to achieve the desired level of fire protection. European fire testing standards have been published to replace the former national standards and to remove technical barriers to trade within Europe. In assessing the performance of fire protection materials the relevant part is presently ENV 13381-4 “Test methods for determining the contribution to the fire resistance of structural members Part 4: Applied protection to steel members”. This standard makes reference to the EN 1363 Series of standards which contain general information about conducting fire resistance tests. The international fire testing standard, ISO 834, is similar to the other standards and is in the process of being revised to bring it more in line with the European standard. It is hoped that eventually there will be a basis for international test data exchange.